Easy enough right? But what about the people you meet who don’t have one of these names? 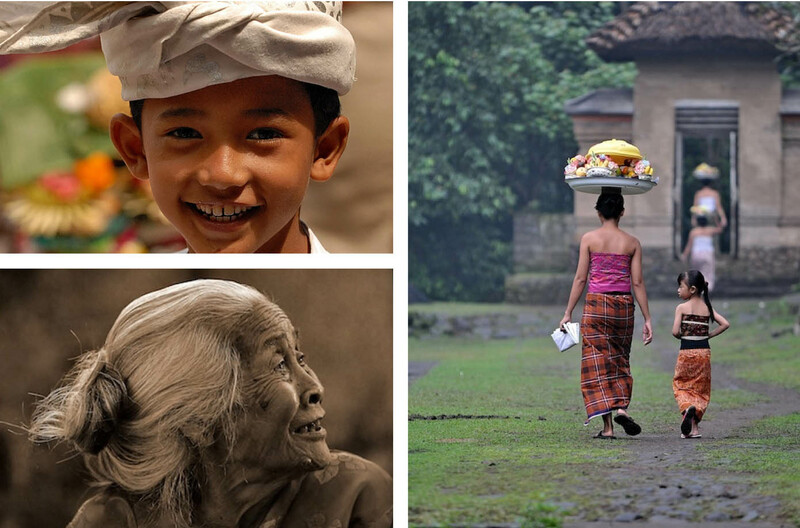 Some Balinese people have names that denote their caste or clan. For example, people from the Wesya (aristocratic) caste might be named Gusti, Dewa or Desak, people from the Ksatria (kings and warriors) caste are often called Ngurah, Anak Agung or Tjokorda, and people from the highest priestly caste, the Brahmana, are often named Ida Bagus for men or Ida Ayu for women. Jero indicates that a person, usually a woman, has married into a higher caste. However, you might run into people with names that don’t fit into any of these categories. This is probably because they go by their nickname. With so many Wayans and Mades around, is it any wonder that many Balinese adopt nicknames to set themselves apart from the rest? Nicknames in Bali can be based on physical attributes such as Made Gemuk (fat Wayan), character traits like Ketut Santi (peaceful Ketut), or perhaps something arbitrary such as Wayan John or Made Legu (Made mosquito). Most Balinese people also give their children a second or third Hindu name that has a positive meaning. Examples include Suardika, which means ‘guiding light’, Setiawan (faithful), or Dewi (goddess). Sometimes Balinese people use this Hindu name or shorten it to create a nickname. For example, Budi might be short for Budiasa, Widi could be a shortening of Widiarta, and Nuri might be short for Nuriasih. Finally, when using their full names, Balinese people also add a prefix to indicate gender. ‘I’ is for men and ‘Ni’ is for women, so I Wayan Darma Putra would be a first-born man, while Ni Anak Agung Rai would be a woman of the ksatria caste. Confused yet? It takes some time for outsiders to work out the system, but once you do, it’s easy to determine where a person stands in his or her family and in the caste system. Of course, if you’re having trouble remembering all the meanings of the names, the best thing to do is simply ask a Balinese person.